The trial of Pelser, who allegedly killed his six-month-old baby boy, was postponed to July 28. 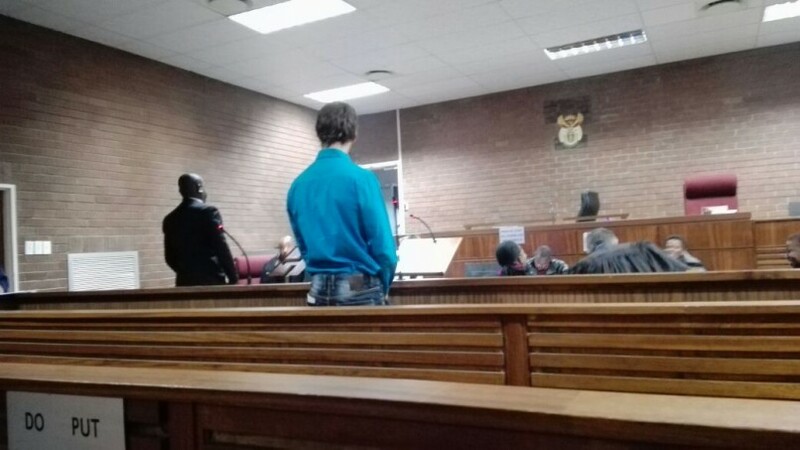 The 22-year-old Marthinus Pelser, who was arrested for the alleged murder of his six-month-old baby boy, has abandoned his bail application on Wednesday. The neatly dressed Pelser confidently told the magistrate that he was comfortable with the proceedings being conducted in either Afrikaans or English, Roodepoort Record reported. Pelser confirmed that he would not be applying for bail. Throughout the proceedings Pelser seemed calm and composed. He also glared at the media when he was taken back to the cells. The case was postponed until July 28 pending the results of a post mortem. Pelser will remain in custody. This after the baby’s mother returned from work on the evening of 11 June and found the boy dead in his cot. He allegedly suffered a fractured skull, broken bones and burns. Before she could ask Pelser what had happened he fled in her vehicle. The community was shocked by a Facebook post by Pelser on the night before the baby’s death that read: “Do not push a man to violence, who has been looking for an excuse to use it”. Police worked tirelessly following up leads after appealing to the public for help. After five days on the run, Pelser’s vehicle was spotted by a resident, Nicoli Roscher, on the side of Christiaan de Wet Road. Minutes afterwards she saw Pelser in Wilhelmina Avenue. Roscher, a Record journalist and the police rushed to the scene. A barefoot Pelser, wearing only a windbreaker and shorts, was arrested.